Instantly downloadable sheet music by John W. Work, Jr. for piano solo of MEDIUM skill level. Instantly downloadable sheet music by Robert Wells for piano solo of EASY skill level. Alle Notenausgaben von The Christmas Song (Chestnuts Roasting On An Open Fire) zum Herunterladen bei VirtualSheetMusic. Alle Noten von Robert Wells zum Herunterladen bei VirtualSheetMusic. Instantly downloadable sheet music by Jule Styne for piano solo of EASY skill level. Alle Notenausgaben von The Christmas Waltz zum Herunterladen bei VirtualSheetMusic. Alle Notenausgaben von Masters In This Hall zum Herunterladen bei VirtualSheetMusic. Instantly downloadable sheet music by Matthew Edwards for piano solo of EASY skill level. Alle Notenausgaben von Away In A Manger – A Meditation For Piano Solo zum Herunterladen bei VirtualSheetMusic. Alle Noten von Matthew Edwards zum Herunterladen bei VirtualSheetMusic. Instantly downloadable sheet music by Bernie Taupin for piano solo of MEDIUM skill level. Alle Notenausgaben von Step Into Christmas zum Herunterladen bei VirtualSheetMusic. Instantly downloadable sheet music by Henry T. Smart for piano solo of EASY skill level. Alle Notenausgaben von Angels From The Realms Of Glory zum Herunterladen bei VirtualSheetMusic. Alle Noten von Henry T. Smart zum Herunterladen bei VirtualSheetMusic. Alle Notenausgaben von Here We Come A-Wassailing zum Herunterladen bei VirtualSheetMusic. Instantly downloadable sheet music by Adolphe Adam for piano solo of MEDIUM skill level. Instantly downloadable sheet music by John H. Hopkins for piano solo of EASY skill level. Alle Notenausgaben von Gather Around The Christmas Tree zum Herunterladen bei VirtualSheetMusic. Alle Noten von John H. Hopkins zum Herunterladen bei VirtualSheetMusic. Danny Elfman – What`s This? Instantly downloadable sheet music by Danny Elfman for piano solo of EASY skill level. Alle Notenausgaben von What`s This? zum Herunterladen bei VirtualSheetMusic. Alle Noten von Danny Elfman zum Herunterladen bei VirtualSheetMusic. Instantly downloadable sheet music by Percy Faith for piano solo of EASY skill level. Alle Notenausgaben von Brazilian Sleigh Bells zum Herunterladen bei VirtualSheetMusic. Alle Noten von Percy Faith zum Herunterladen bei VirtualSheetMusic. Jule Styne – Let It Snow! Let It Snow! Let It Snow! Alle Notenausgaben von Let It Snow! Let It Snow! Let It Snow! zum Herunterladen bei VirtualSheetMusic. Instantly downloadable sheet music by Steve Nelson for piano solo of EASY skill level. Alle Notenausgaben von Frosty The Snow Man zum Herunterladen bei VirtualSheetMusic. Alle Noten von Steve Nelson zum Herunterladen bei VirtualSheetMusic. 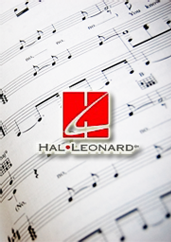 Instantly downloadable sheet music by Lowell Alexander for piano solo of MEDIUM skill level. Alle Notenausgaben von Not That Far From Bethlehem zum Herunterladen bei VirtualSheetMusic. Alle Noten von Lowell Alexander zum Herunterladen bei VirtualSheetMusic. Alle Notenausgaben von Hallelujah Chorus zum Herunterladen bei VirtualSheetMusic. Alle Notenausgaben von Making Christmas zum Herunterladen bei VirtualSheetMusic. Instantly downloadable sheet music by Ray Evans for piano solo of EASY skill level. Alle Notenausgaben von The Snow Lay On The Ground zum Herunterladen bei VirtualSheetMusic. Instantly downloadable sheet music by Piae Cantiones for piano solo of EASY skill level. Instantly downloadable sheet music by Bernie Taupin for piano solo of EASY skill level. Instantly downloadable sheet music by Richard Smith for piano solo of MEDIUM skill level. Alle Notenausgaben von Winter Wonderland zum Herunterladen bei VirtualSheetMusic. Alle Noten von Richard Smith zum Herunterladen bei VirtualSheetMusic. Instantly downloadable sheet music by Nicky Chinn for piano solo of EASY skill level. Alle Noten von Nicky Chinn zum Herunterladen bei VirtualSheetMusic. Instantly downloadable sheet music by Wihla Hutson for piano solo of MEDIUM skill level. Alle Notenausgaben von Caroling, Caroling zum Herunterladen bei VirtualSheetMusic. Alle Noten von Wihla Hutson zum Herunterladen bei VirtualSheetMusic. Instantly downloadable sheet music by John H. Hopkins, Jr. for piano solo of EASY skill level. Instantly downloadable sheet music by Placide Cappeau for piano solo of EASY skill level. Alle Noten von Placide Cappeau zum Herunterladen bei VirtualSheetMusic.